NEW PRICE! 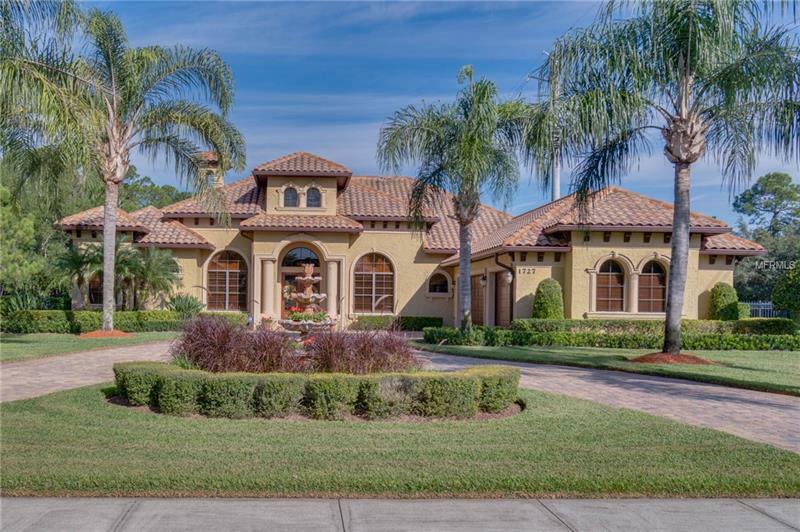 LAKE MARY CUSTOM LUXURY ESTATE LOCATED ON A PRIVATE LOT W/ JUST UNDER 2 ACRES! A nature lovers dream surrounded by manicured trees and a park like setting! The floor plan features, 4 bedrooms w/ 3 baths and 2 half baths, a formal dining room and a double sided fireplace between the living room & family room. This home has 2 executive offices, one off the master and a second large room with 14' ceilings & double sliding doors leading to the pool & spa, this room is also considered a bonus room. Custom features include, stone floors throughout all the main areas, tray ceilings, crown moldings, custom wood shutters & custom built ins. The Gourmet Chef's kitchen has solid wood cabinets, gas cook top, Stainless steel appliances, granite counter tops and a a walk in hidden pantry. The resort style pool & spa is an entertainer's dream with an outdoor kitchen, huge lanai w/ wood ceilings, custom stone waterfall and custom brick pavers! Circular driveway with a fountain and a 3-car side entry garage. Additional features also include: NEW Carrier AC 8.5 years left on parts & labor warranty, a commercial phone system, extensive outdoor landscape & security lighting! This home has been meticulously maintained and shows like a model! Carisbrooke is an upscale gated community conveniently located to the Colonial Towne park shopping & restaurants, surrounded by natural settings which lead to 25+ miles of county maintained bike trails & top rated schools! This property may be under audio/visual surveillance.